WHAT IS THIS!? TWO COMICS IN A WEEK!? To make up for my bad update schedule recently I wanted to provide a little extra comic joy in your life, so here's a second comic for this week. It has a pig in it. 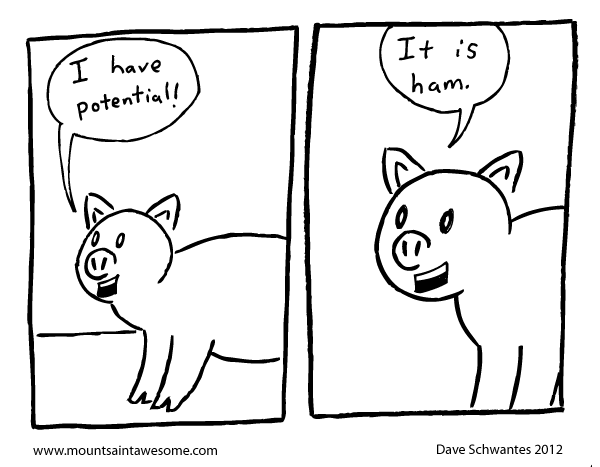 Your potential is your name?